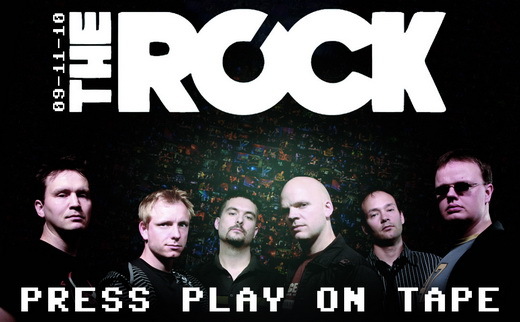 On Saturday May 12th 2012 PRESS PLAY ON TAPE will play a concert in Copenhagen. Not in the usual place but at Lions and Barrels at the national football stadium Parken. There even might be a surprise bit of some sorts - guess you have to be there to see what it'll be... Se more here about the event or even read the article in Berlingske mentioning PRESS PLAY ON TAPE. Who should have known... Our second album is now (finally) available on iTunes. 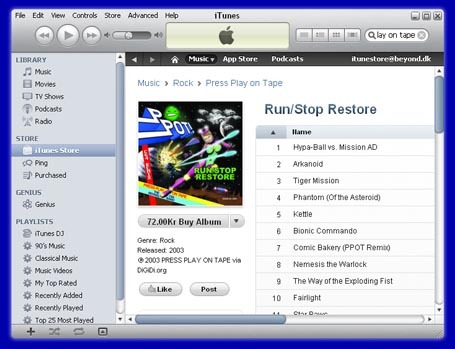 You need the iTunes application in order to purchase it there. Go C=RAZY! Put a big X in your calendar on March 25th. We'll be playing our first koncert at DTU at S-huset. More info here. The inevitable has happened. After many years of completely coincidental bookings, we've been booked with no other prior arrangement! It's on November 13th. We're thrilled and are looking forward to experience this Danish cosplay explosion and celebration of Japanese culture. More info! "Another concert at The Rock?" you'd might ask youself. But this one is special. On September 11th 2010 we'll celebrate our 10th year anniversary. Go to The Rock to see more about the venue and tickets. More PPOT info here. Yup, another tiny concert at an event in Copenhagen. 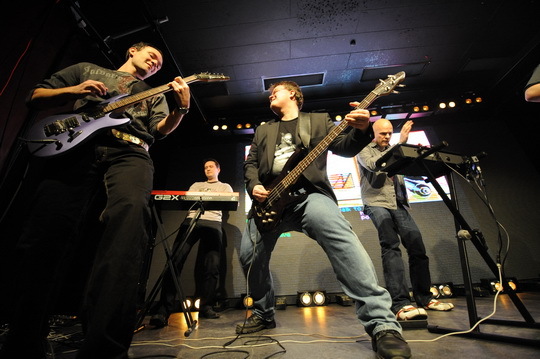 This time we had the pleassure of performing at The Danish Game Awards 2010. We did the Cannon Fodder controller show and played Man With the Gun plus Monkey Island.